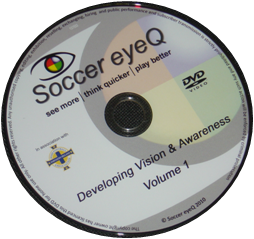 The Soccer eyeQ Developing Vision & Awareness DVD contains a selection of exercises, and progressions that can be adapted for players of all abilities. Each exercise has an animated intro and highlights a number of key coaching points. 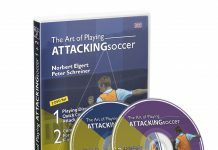 The DVD has been filmed in conjunction with the Irish FA, and is currently supplied as a resource on their UEFA Licence courses. In soccer, almost everything players do and almost every decision they make is because of what they see – and the sooner a player sees something, the quicker they can act. Improving a players “field vision”, the awareness of everything around them, will help them become a much more dynamic and effective player. Soccer eyeQ presents a range of innovative exercises, which train and develop the essential skills and habits required for expert field vision. As a result the players will possess a greater awareness on and off the ball and “see the game” more clearly – enabling them to anticipate the play, make better decisions and do the right thing, at the right time. 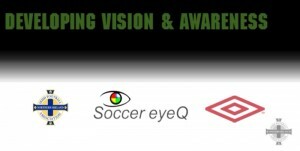 Highly respected as one of the top field vision and game awareness specialists in England, Kevin is the Technical Director at Soccer eyeQ. Kevin holds the prestigious UEFA A Licence qualification through three different national associations – English FA, Irish FA and Welsh FA. Kevin has an impressive record of delivering clinics and workshops across the UK to professional and semi-professional clubs, from Academy to First Team level, as well as successfully presenting on the prestigious UEFA Pro Licence and UEFA A Licence courses. 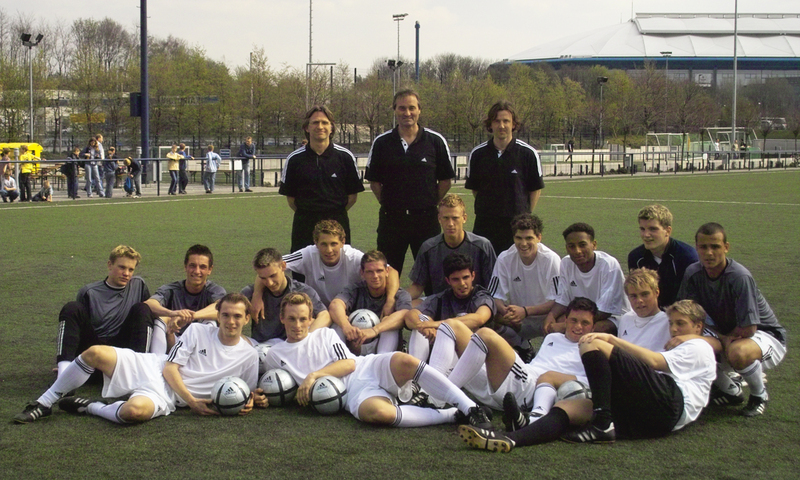 Over the past 11 years, Kevin has worked with many players of all ages and abilities – from first-team professionals to grassroots. His major focus and passion has been the development of field vision and game awareness in all players he works with, using innovative techniques and exercises to improve players’ abilities in these essential areas. 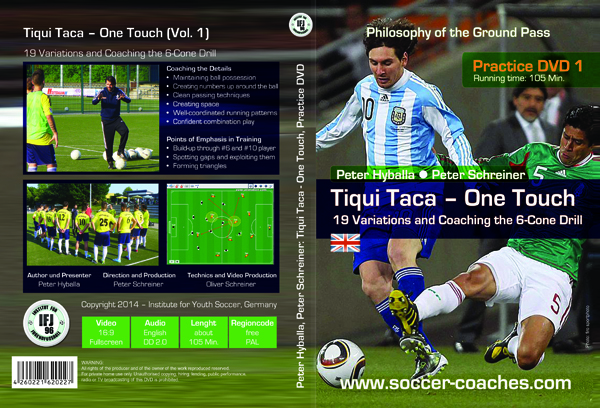 He has written many articles for international coaching magazines and newsletters on the topic of developing field vision and game awareness, as well as, produced resources to assist clubs and coaches in teaching his proven techniques to players. He is currently one of the most sought after speakers and clinicians in the UK and the USA. What are the five key elements that affect what a player should be doing in the game? A player’s attention should be focused on during the game? Kevin: I find it surprising that many players simply do not have any idea of what is going on around them and I will compare where the majority of players are, and where they actually should be. Kevin forwards some ideas on the mental capacity that players require to play the game at the elite level. The game of soccer is highly dynamic and frequently places multiple demands on our players – how do we prepare them for that? Perception-Decision-Action, these are the three fundamental components of skilled performance in soccer. The three components Perception-Decision-Action refer to See-Think-Do. The average player focuses so intently on the ball, THEN they control it, THEN they have a look, THEN they decide what to do and only THEN do they carry out their game action – if they haven’t been tackled by this point. Because of this they are, invariably, too slow to recognize opportunities and the tempo of their play is far too slow. This player is regularly caught in possession of the ball, or caught out of position on the pitch. The players should be able to rapidly move through the See-Think-Do process in a dynamic, fluid manner. But, what is it they have to “See” and “Think” about? We will now have a look at the key game variables that affect a player’s role and responsibility at any moment in the game, and ultimately dictate what the player should or should not be doing. What are the key variables that affect your players should be doing on the pitch. There are 5 critical pieces of information that a player must know in order to understand their role and responsibility at any moment in the game. Identifying and understanding the relationship with these 5 key variables, and recognizing the impact these have on the game situation, will determine how effective your players’ decisions and game actions are. 1. Ball: Where is it, who has it and what can they do with it? 2. Teammates: Where are they, normally guided by team formation, and what are they doing? 3. Opponents: where are they and what are they doing? 4. 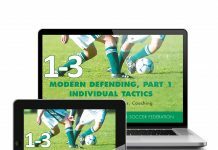 Area of Play: attacking third, defensive third or middle third? Yet again, how simple was that? And, once again, some of you will have easily identified these variables and others will have had another “of course” moment. “Keep your eye on the ball” is a mantra frequently extolled at training grounds around the world. However, as far as I am concerned, it is very nearly the worst coaching phrase ever invented. Sure there is a time and place, and very specific moments, that a player should keep his eye on the ball but for the vast majority of the game they should, in fact, be keeping their eye off it! The problem is that it has been used so much that we now have players that do exactly that, keep their eye on the ball. It has become such a habit for them that they very rarely ever take their eye off it, which they should be doing regularly to scan the pitch too see their options. Part of the problem for the player is that thinking about how to control the ball and looking around to see where other players are is, as far as the mind and body are concerned, two jobs to be done at the same time. Let’s now look at that. Although ASSESS is only listed first here, it should be understood that it is a continuous process and should be a regular action between each of the others – my fundamental ABCs of awareness are “Always Be Checking”! Awareness is probably the most important skill a player can master, especially when it comes to their ability to make better game decisions. The ability to anticipate is directly linked to a player’s awareness skills, which must be practised until they become habit. Even the simple act of looking around when the pressure is off, so the player knows where his teammates and opponents are will help the player make better decision in pressurized situations – he will already know his escape routes. 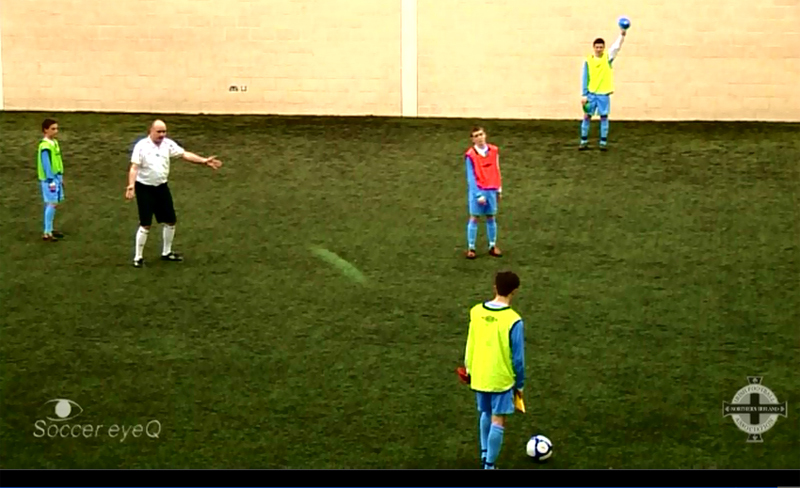 I frequently coach my players “ball moves, you move, have a look”. This quick cue phrase, which I call a QQ (for Quick Q), seems to impress upon them how important it is to take every opportunity available to assess what is going on around them. However, tremendous concentration is required to consistently perform through the continuum for the entire match – and sometimes maintaining this high level of concentration is hard because 98% of the game is spent off the ball.